Now that Fall is here, it’s time to start thinking about how to keep you and your family healthy in the coming months. Fall through Spring is considered cold and flu season, leading to serious illness for people of all ages. One of the best ways to protect yourself this time of year is by getting a flu shot. 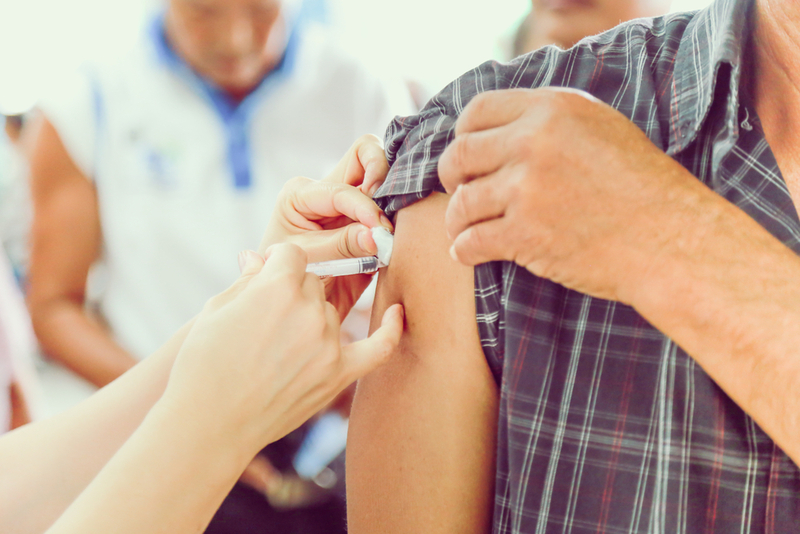 According to research, the number of people who get vaccinated usually drops after November. This could be because people think it’s too late or because they simply aren’t thinking about it anymore. Either way, not getting a flu shot is a big mistake. In 2005, the Centers for Disease Control (CDC) started the National Influenza Vaccination Week in an effort to remind people to get a flu shot – whether it’s September, October, or even December. Peak flu season usually happens between December and February, but some years we have seen it stretch to as late as April or May. Many people don’t realize this, but it takes about two weeks for the flu vaccine to become fully effective and build up immunity in your body. This is why it is so important to get vaccinated sooner than later. As the colder weather creeps in and young and old people alike start to get sick, you want to make sure you and your loved ones are protected. The last thing you want is to have your school year or holiday season ruined by the flu. If you want to stay healthy this fall and winter, your best bet is to get the flu shot. According to the CDC, the flu vaccine reduces a person’s risk of getting influenza by 61 percent. Many clinics, grocery stores, and other local businesses offer the flu shot in an effort to keep everyone healthy. Because of this, you really have no excuse not to get one! If you have questions about the flu vaccine or would like to come into one of our Texas Partners Healthcare Group locations to get your shot, please give us a call today.